Age of Fear 3: The Legend is a turn-based tactical combat game that fully embraces the idea of gameplay over graphics. The developers are up front in admitting that the visuals in their newest title are nothing to get excited about. 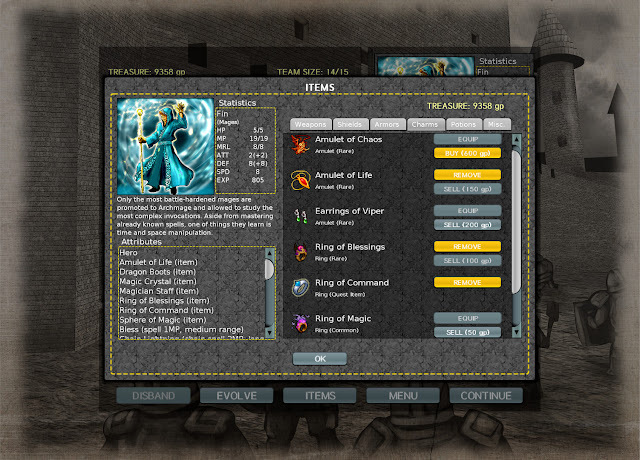 Instead, they want you to dive into a detailed tactical combat engine in which your opponents are driven by an impressive AI that manages to effectively control hundreds of different unit types, spells, and abilities. Watch the official trailer to get an idea of how the game looks in motion, and enjoy the..uh..innovative cinematography. In this game, you can choose to play one of two fairly lengthy campaigns. I've only played partially through them so far, but they are equally interesting takes on the fantasy setting. The first campaign gives you control of a beautiful, but deadly, dryad and an ugly, but very deadly, drider. The drider fellow is like a centaur but with the body of a spider instead of a horse. Nightmare material for sure. These two are forced into a partnership by circumstance, and then go on a wild tear through the countryside building an army to fight whatever gets in their way. The other campaign focuses on a drunken dwarf lord on a rampage of his own. The game has some charmingly silly writing and I laughed more than once at the characters' frequent banter. The campaign is made up of a series of scenarios that constantly challenge you with new enemies and hazards, with bits of story and dialogue sprinkled in between. After a few missions you will begin to see optional scenarios as well. These can add to the story and give you various bonuses if you complete them. One thing I found really fascinating was that there were occasional missions where losing would actually open up a hidden branch in the story line. I don't want to give any of these away, of course, but just wanted to let any prospective player know not to immediately reload the game when a scenario is going poorly, there might be a fun twist if you hang around. The combat itself takes place on grid-less battlefields where you are free to move your troops about however you like. 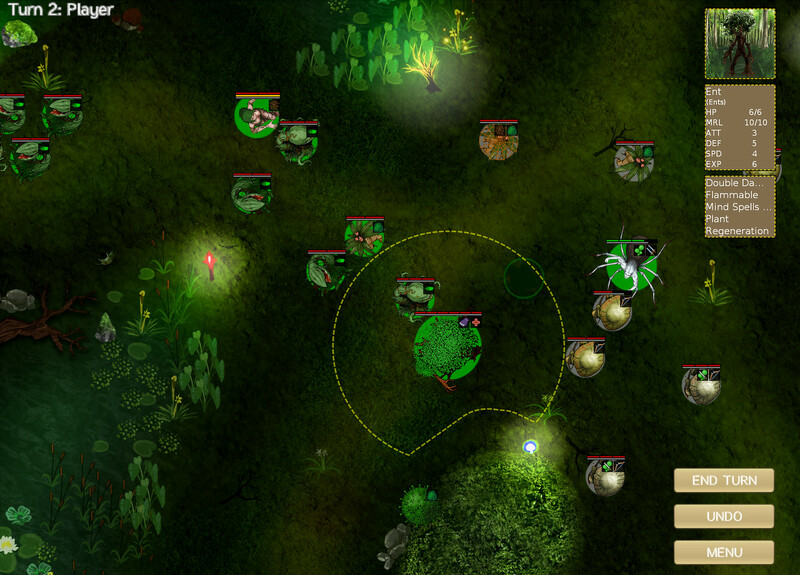 Units cannot pass through one another, and the fighting spaces are often crowded, so this means that it is very much an effective tactic to have a line of melee units backed by ranged units, for example. To avoid hindering the mobility of your own units, you'll always want to plan ahead a bit and arrange your own forces to allow for flexibility. A couple of giant ents can really put a hurting on the baddies, but can also clog up your lines, blocking other units from reaching the enemy. Faster units are best kept out on the flanks where they can rapidly close when an opening presents itself. All of this taken together actually gives the gameplay a sort of wargame feel. Frontage and the logistics of moving your troops around the battlefield is equally important to spells and swords. AoF3 is a game that may look very simple at first glance, but actually gives you a ton of options in how to shape your fighting force to your own style. Between missions you get a chance to recruit new units, buy equipment, and add new abilities to your experienced forces. Two units of the same type can be specialized by buying different upgrades with their experience points. You can even "evolve" some units into a new type, or spend the XP on strengthening what you already have. Attributes like poison/fire/etc resistance, health regeneration, new abilities, or simple attack and defense buffs are among the many options. Your two hero units have tons of choices available, including lots of new abilities to select from. The heroes can also be decked out with various pieces of gear that specialize them even further. Between all of this, a hero unit might have more than a dozen different bonuses and changes that make them unique after just the first few scenarios. You will need every bonus you can get, since this a game that requires some real tactical effort from the player. Simply sending all of your units forward to engage with the enemy will more often than not lead to disaster. In just about every scenario there is often some sort of tactical adjustment that will need to be made on the player's part in order to win. For example, in an early mission the enemy has several kamikaze plant creatures which will explode into a cloud of poisonous gas if they can hit more than one of your units. However, if you only send one unit forward, the enemy unit will only engage in melee attacks. In another mission an undead alter will continuously summon new units until it is destroyed, making its destruction a much higher priority than defeating the units it sends at you. Figuring out an approach that will work, and then executing it successfully, is the central part of what makes this game fun. A successful scenario leads to your forces getting bigger and better, and the cycle continues. One of the things touted by the developers about Age of Fear 3 is the above average enemy AI. I watched out for this in particular as I played the game, and found that it really did do some interesting things. Enemy units exhibit a multitude of behaviors beyond simply charging at you and attacking. Ranged units will try to keep your melee units at a distance, enemies in a hopeless situation will retreat, leaders will hang out behind their lines providing support and then attack furiously once engaged. The AI certainly pulls no punches, as it will at times focus fire on a single unit, and isn't afraid to use area-of-effect attacks when possible. While playing the game, I did not run into any serious bugs or glitches. The only annoying thing was occasionally having to click twice on something since the first click did not register. Another issue was that the way stat adjustments worked was not always 100% clear or logical. Particularly, I had to learn the hard way that equipping a weapon with a poison bonus would actually lower my chance to hit the enemy at all to practically nothing if said enemy had poison resistance or immunity. Overall, Age of Fear 3 offers up exactly what it promises. A detailed tactical combat game with simple graphics and sound, but a lot of substance under the hood. 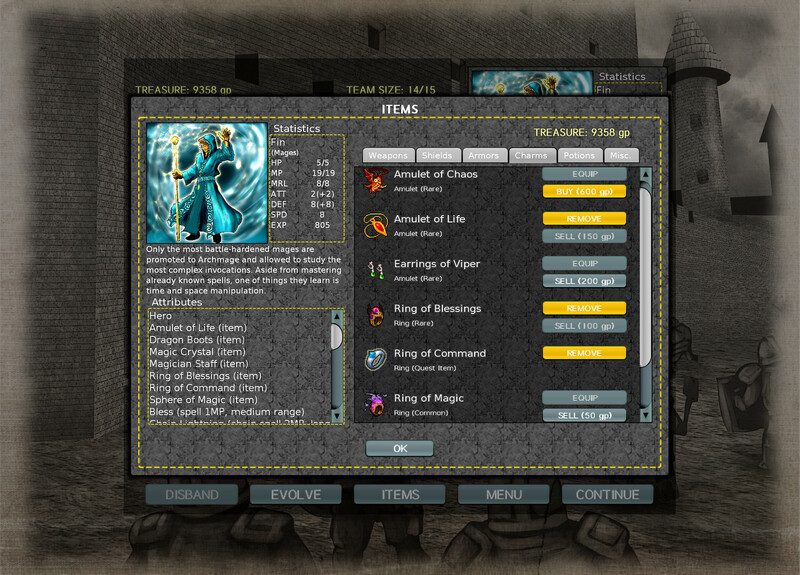 It also has fun story lines to follow along with and all sorts of exotic units to choose from. The game of course won't be everyone's cup of tea, but at least it is very up front about what you are getting. If you are still on the fence, the first two games in the series are quite cheap and offer a fairly similar experience to let you try out the system. Age of Fear 3: The Legend can purchased on Steam or directly from the developers on their website.